In January 2018, the United Arab Emirates will institute a 5% VAT on goods in its country. But not on books. 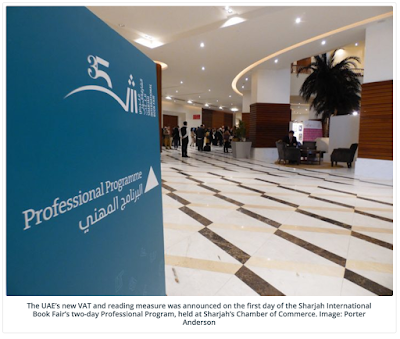 And not only that, the new measure also permits employees in the UAE to read during working hours. Just 40 years ago the UAE had an illiteracy rate of almost 50% of the population. Today? Less than 1%. The Friends think that's pretty cool.